Shedding its conservative approach towards inorganic expansion, India’s second-largest software exporter Infosys has announced its second mid-size acquisition in as many months. The firm also said it will issue bonus shares and set an ambitious double-digit revenue growth target for this year but that did not stop investors punishing the company and dumped its shares after the firm missed analysts estimates on its earnings for Q4 and undershot its own revenue growth projections for the full year ended March 31, 2015. The firm said it will buy m-commerce enabler Kallidus Inc for $120 million in an all-cash deal. Kallidus, which operates under its key product Skava. The acquisition amount includes retention bonus and a deferred component. “Skava delivers a cloud-hosted platform for mobile websites, apps, and other digital shopping experiences across mobile, tablet, desktop, in-store, and all emerging channels to large retail clients worldwide,” said Infosys in a statement. This comes just two months after it acquired Israeli automation technology provider Panaya for $200 million in mid-February. Under Vishal Sikka, the first non-founder chief of Infosys who took charge in August 2014, Infosys has shown its intent to pursue acquisitions to better use its huge cash chest of over $5 billion. Its cash reserve came down from $5.53 billion to $5.21 billion as of end March. Before Panaya, its last – and biggest ever – acquisition was SAP specialist company Lodestone in 2012. Infosys has also committed to make an early stage investment of $2 million in personal air quality monitoring startup Airviz, a spinout from Carnegie Mellon University in the US. It will pick a minority stake in the venture. Airviz Speck, an affordable, fine particulate monitor, which uses patent-pending technology from Carnegie Mellon University, can empower individuals and communities to understand and identify health hazards related to air quality. This is the second investment from its $500 million Innovation Fund, the first being $15 million in a spinoff from California-based Dreamworks Animation in February. The name of that venture was not disclosed. 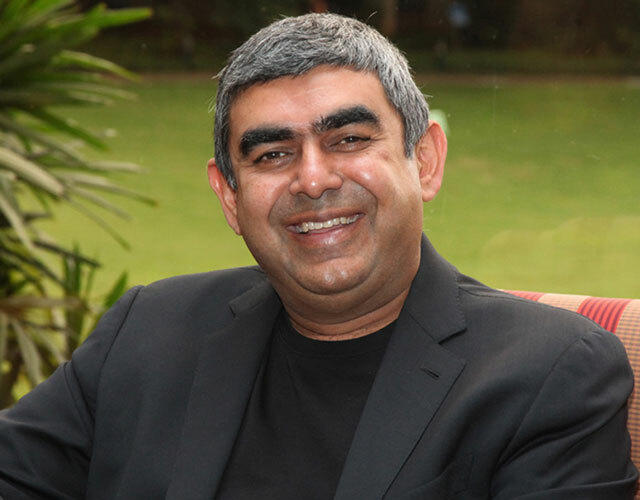 Sikka had increased the corpus of Infosys startup investment fund to $500 million in January and earmarked $250 million (Rs 1,550 crore) for Innovate in India Fund, to invest in Indian startups. “These companies will be inducted into the global ecosystem of strategic partners that we are building,” the company has said. As part of the Infosys Innovation fund, it also announced the launch of the Infosys Incubator. It did not share more information on this incubator. Meanwhile, Infosys was the biggest loser among blue chip stocks on Friday, declining almost 6 per cent after it reported a sequential 4.7 per cent decrease in net profit to Rs 3,097 crore and 2.8 per cent fall in revenue at Rs 13,441 crore. Compared to the year ago period revenues rose 4.2 per cent profit increased 3.5 per cent. Its revenue for the full year 2014-15 was up 6.4 per cent at Rs 53.319 crore and profit rose 15.8 per cent to Rs 12,329 crore. This was, however, lower than its own projections. The company has now set an even more ambitious target of growing revenues by 10-12 per cent in constant currency in the current financial year. In another development, Infosys board recommended a bonus issue of one equity share for every equity share and a stock dividend of one American Depositary Share (ADS) for every ADS held. It has also decided to increase dividend pay-out ratio to 50 per cent from 40 per cent of post-tax profit effective fiscal 2015.